KKR's consistency has suddenly taken a beating after two defeats on the trot, first in Chennai and then against Delhi on Friday. IPL 2019 Match 29 Preview Kolkata Knight Riders vs Chennai Super Kings: Table-toppers Chennai Super Kings will look to complete the double against Kolkata Knight Riders, just like Delhi Capitals did, when the two teams clash in an IPL match here on Sunday. The home side’s consistency has suddenly taken a beating after two defeats on the trot, first in Chennai and then against Delhi Capitals on Friday. The Knight Riders, hence, would be under immense pressure to arrest the slide when they face the mighty Chennai. Both their defeats exposed KKR’s over-reliance on Andre Russell, who looked ominous, but the opponents figured out a way to strangulate the Windies power hitter to restrict the team to below-par totals. To make matters worse, the Jamaican is a doubtful starter after aggravating his wrist injury that he had sustained in Chennai. He never looked at ease during his 21-ball 45 against Delhi. But KKR need their batting to click as a whole, especially a skipper Dinesh Karthik, their leading run-getter last season. He has been struggling this time with 93 runs at a woeful average of 15.33. 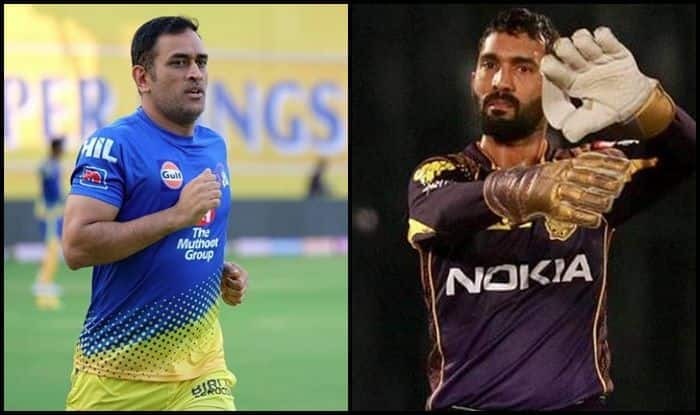 In a rare instance, Dhoni, who was not even meant to be on the field of play, uncharacteristically lost his cool and rushed out of the dugout to challenge umpire Ulhas Gandhe after he flip-flopped on a no-ball during an IPL match against Rajasthan Royals on Thursday night. Although Dhoni escaped a ban and was let off with a 50 percent fine on his match fee for an unprecedented confrontation with the umpires but the former cricketers came down heavily on India’s two-time World Cup-winning captain for his act, saying he set a wrong precedent.